Did you know that anyone could call themselves a dog trainer or behaviourist? To make things more complicated there are over 50 different “educational” organisations in England all declaring their superiority with most requiring very little from the individual other than a joining fee. This can be confusing to the pet dog owner when searching for a professional and highly educated trainer/behaviourist, with most of these organisations using terminology to impress and seducing the reader with coats of arms and fancy acronyms etc. So I thought I would quickly explain the educational organisations I am a member of and why. Be careful with this one as many trainers talk about being a member, but all this entails is just paying a membership fee. It is only those who have become accredited and can display the Gold KCAI emblem that have gone through the very rigorous and intense theory and practical assessment, which takes most an average of 5 years to complete. At present there are less than 80 accredited Companion Dog trainers in the world. The accreditation is a City & Guilds, which is standardised no matter what vocation and is recognised worldwide. This organisation has been going for some time and has nearly 2,000 members nationally. Unlike the KCAI I could only become a member after I had been assessed. Similar to the KCAI, an assessment of both practical and theory knowledge is needed, which includes a written, practical and oral examination. This is not easy, but is similar to the KCAI and requires an in-depth knowledge of dog training and its practical application. I chose this organisation as it is regarded very highly, in both the dog world and by pet dog owners and in recent years has focused on force free and ethical training, which suits my training attributes perfectly. The daddy of them all, yes there really is a degree in dog training!!! 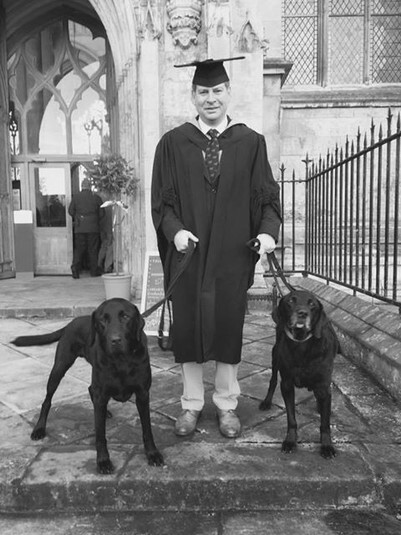 Recognised throughout the world, the 5-year behavioural science degree covers everything from training, dogs, animals and people with everything in between, I even did data analysis work. My dissertation was on the practical relevance of Gundog training in a shelter dog and the course has moved my training and thinking forward by such an elevated rate. Luckily, the degree also required my practical training (one for each year) to be assessed, producing students that not only could talk the talk, but also walk the walk. I did the degree as I wanted a more scientific understanding of training and behaviour, which is unbiased and not based on anecdotal evidence similar to what you get if you attend some trainer/behaviourist seminars or workshops.